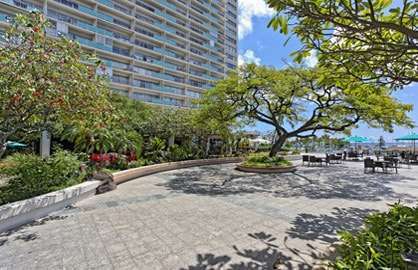 An incredible remodeled unit with amazing ocean views from your large 120sf lanai. 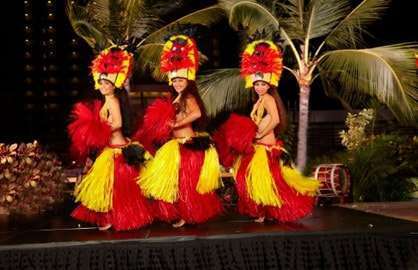 Watch the surfers, the lagoon activity, Hilton and Ilikai pools and even watch the Hilton Luau show for free right from your lanai, a $120 per person savings!! Internet work desk and free wifi. New full size sofa bed with memory foam mattress (11/22/18). 42 inch flat screen TV with cable service. Granite kitchen with breakfast bar. New Quiet Split System AC Unit. Free local and all USA & Canada Calls. 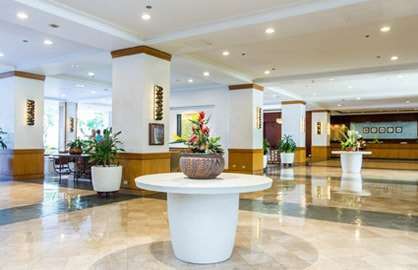 You will enjoy this luxury environment. 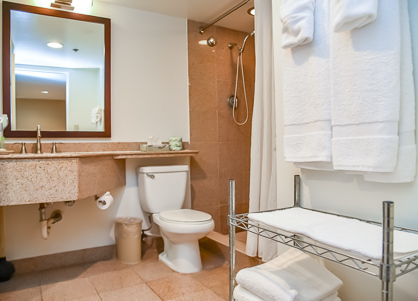 First class amenities in a great location for a low price. 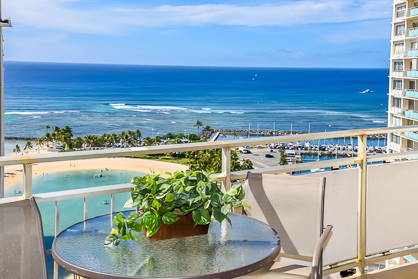 We just returned from a 10 night stay in Ilikai condo 2022. It was a great clean apartment,the bed was very comfy, the kitchen facilities were great, the view was amazing and we just loved the location! The key pin pad was fantastic!! We didn't need to worry about carrying a key card to get in. 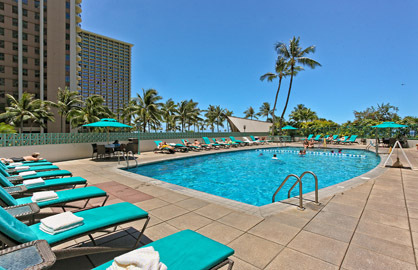 It was out first time in Hawaii and we loved every minute of our stay. 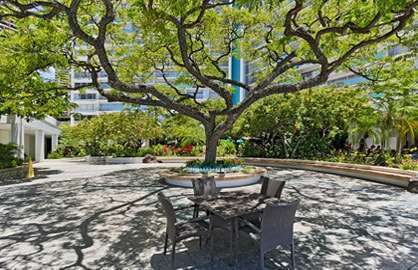 I must admit I was a tad worried about renting a private condo as I always book through hotels directly but don't hesitate I couldn't fault our stay we even got early check in. 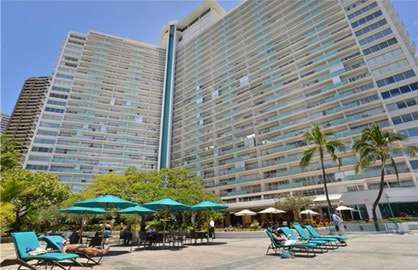 We will be returning to this apartment when we come back, which I hope isn't too far away! 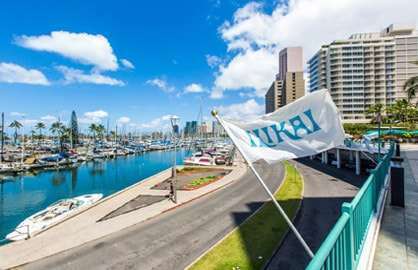 Ilikai 2022 - Great apartment, loved the view , loved the location just perfect. Great kitchen facilities, can't wait to go back. 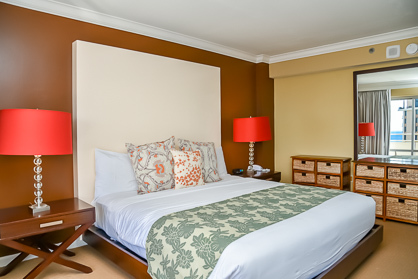 Recently renovated, great king size bed very comfortable. 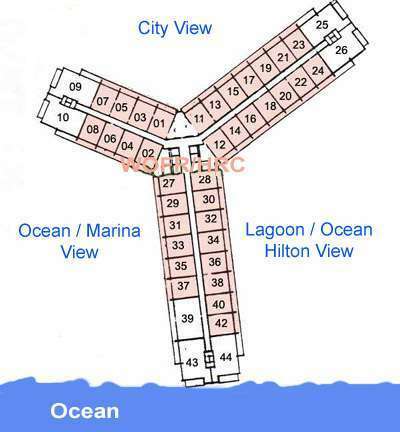 Pick up point for all trolley & bus services. Loved our time there. Wow!! 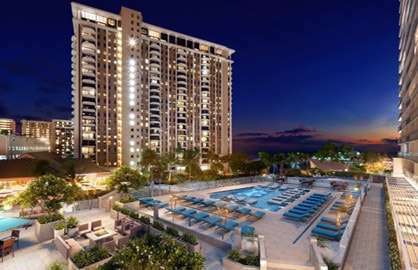 What a great Condo Ilikai 2022. 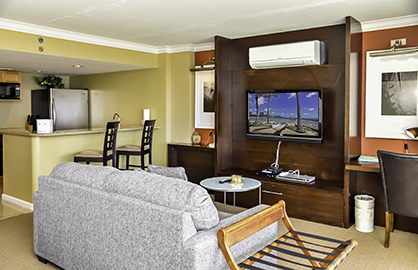 Quality modern furnishings, clean, quiet, spacious and comfortable. 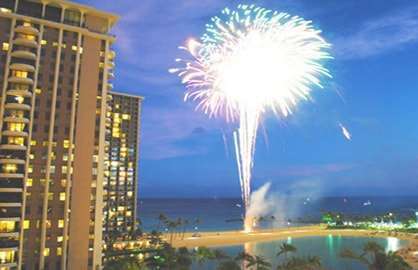 The view from the Lanai is great and gets you into a holiday mode overlooking the lagoon and ocean as well as Friday night fireworks and cultural show at the Hilton. 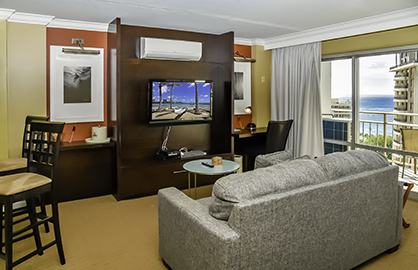 We, like other reviews we read were a bit sceptical about private rentals but be assured this is easy going and the Hotel staff were also very friendly and helpful, even though we were not their direct guests. 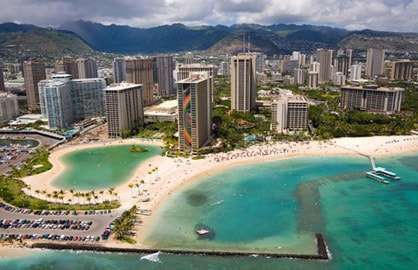 We split our holiday and stayed 6 nights here and then 4 nights at a Hotel in the main area of Waikiki. 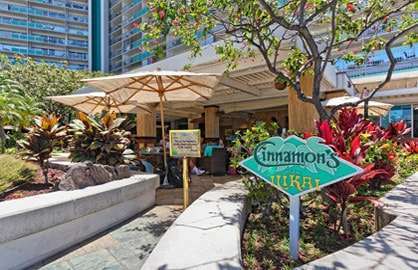 Should have stayed at the Illikai for the whole 10 nights as it is very noisy in the main Waikiki Hotels at night. 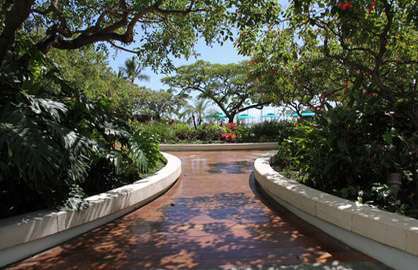 Its a flat easy 10 minute walk to the main area of Waikiki or the trolley bus from directly in front of the Hotel for $2.00. 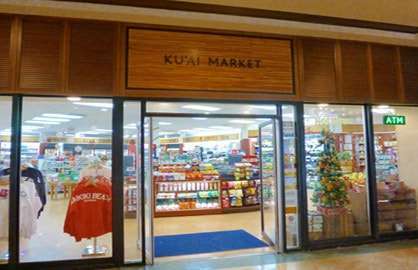 Also good value cafes, restaurants and supermarkets all around the area. 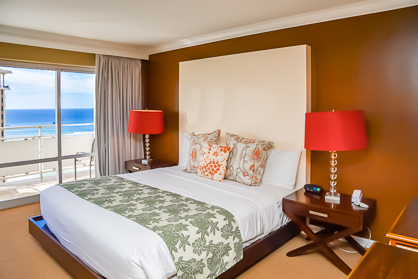 We highly recommend the Ilikai as a great base for a Honolulu holiday. 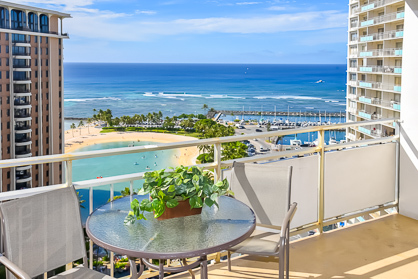 Me and my boyfriend just stayed in this condo in Waikiki, and it was awesome! We had so much fun, and we were in such a good location! Everything was walkable. 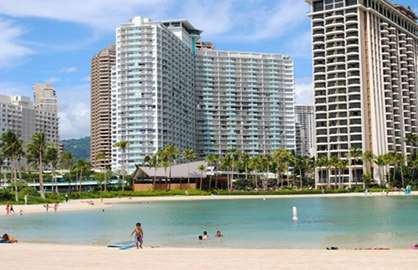 We went to the beach almost everyday, which was just right outside the front of the condo! The room itself was presented very well, and we liked it very much. There was a grocery store right across the street so we didn't have to go out every night, and the full kitchen was excellent for cooking for ourselves! We had a great time, would definitely stay there again. 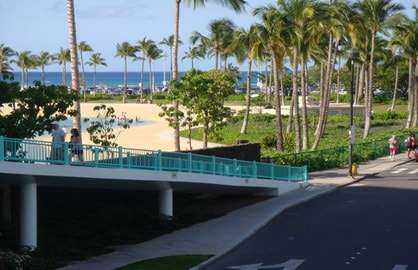 Just arrived back in UK after a vacation in Hawaii including a stay at Unit 2022 Illikea Resort. 'Felt I needed to place on record our thanks for the efficiency in the rental process and the accuracy of the pre stay information. 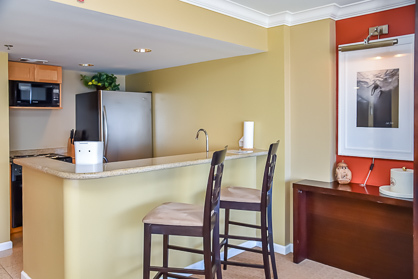 The Unit was excellent and a credit to the owners. 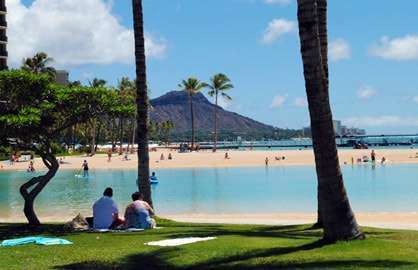 We would love to stay at the Resort and use your services again should we ever return to Hawaii which I hope one day we will.' Again many thanks. We had a wonderful time and both units (2022 and 2034) were exactly as promised and very nice. We did like the ocean views better from 2022 (fireworks were amazing from 2034 though!). Thanks for your quick responses to my questions while we were there. 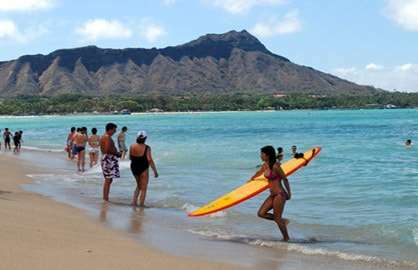 We'll be sure to stay in one of your units again if we're lucky enough to make it back to Oahu.